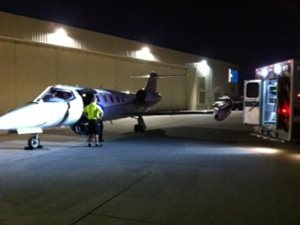 Late this evening, a medical airlift jet touched down at the the downtown airport in Kansas City with some very special passengers. 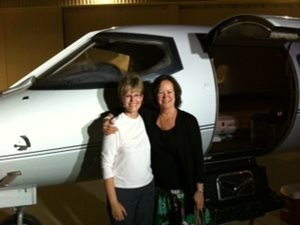 Linda accompanied Bruce on the flight from Panama, where Bruce had been hospitalized the last 8 days. 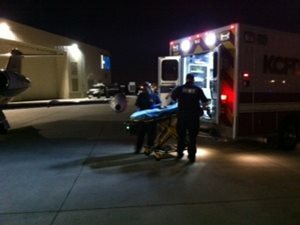 Bruce has been transferred to a Kansas City hospital where he can continue to recuperate closer to friends and family. Preparations began early this morning for the journey home. 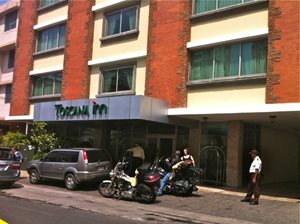 We checked out of our home for the last week and packed the bikes preparing to depart. It was an extra special day, being Palm Sunday. 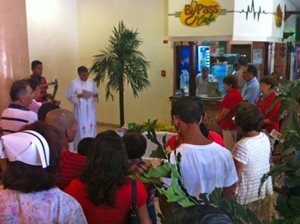 And we were able to attend special services held at the hospital. The service was also a time for us to lift Bruce in our prayers. 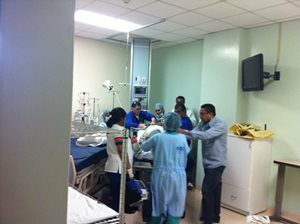 As we have so often said, the staff at the Hospital Nacional in Panama City have been so attentive; caring for Bruce day and night. 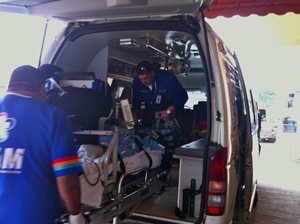 As they prepared him to depart the hospital, the care and concern continued to show. 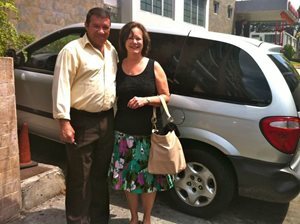 A special thank you to our driver, Aldo, who shuttled us around during our stay in Panama City, Panama. 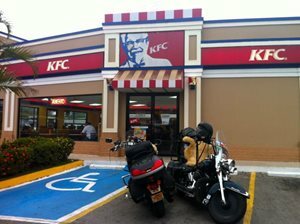 We said our goodbyes as it was also time for us to continue our Miles With A Mission; next country – Costa Rica. 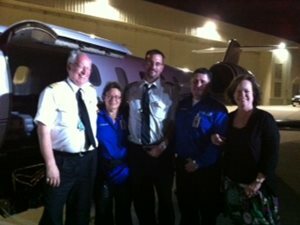 Doug and I followed the Ambulance to the airport to see Bruce and Linda off. It was difficult for us to say goodbye to our companion. It will be a different journey without Bruce riding by our side. 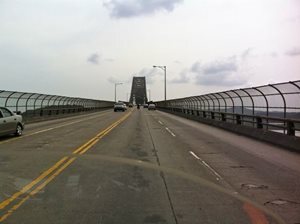 As we drove across the Bridge Of The Americas, spanning the Panama Canal, we realized a new journey had begun. We are ready to get home, which will include a warm reunion with Bruce, in Kansas City. The trip continues to bring surprises. 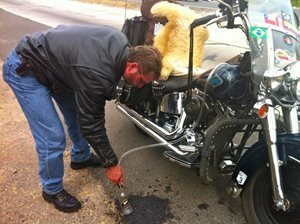 This afternoon’s journey included the transfer of fuel between bikes, using a roadside “container”. 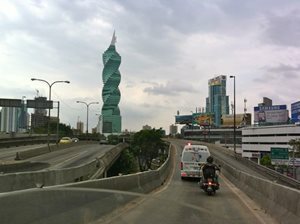 And we arrived in Santiago, Panama to a familiar site. Please continue to pray for Bruce, Linda and their family during this difficult time.